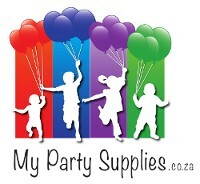 Plain and themed 1st birthday party supplies to make your child's first birthday party extra special. Party supplies, tableware, accessories and ideas for boys and girls 1st birthday parties. 1st Birthday Party Supplies There are no products in this category. A beautiful palatte of pastel pink and turquoise make up these lovely Flamingo themed party supplies. A beautiful print of a gorgeous clouds, hot air balloons and planes. Does your child love wildlife animals? Then is the perfect theme. The party supplies include images of lions, zebras, monkeys etc. Winnie the Pooh Party Supplies.